U.S. G.I.R.L.S. (“Unique, Sophisticated, Girlfriends Inspirational Reading and Literary Society”) Book Club was founded in October, 2004. We’re a “sisterhood” of bibliophiles who share the love of reading. We read and discuss one book bi-monthly in person; sponsor book club luncheons; hold phone-chats with authors; celebrate members birthdays; support community charity, scholarship, and cultural events. Members take turns hosting book club discussion meetings. Each member is asked to volunteer and host the book club meeting at their home, or a location of their choosing. The host for the discussion book of the month supplies the name of the book and the meeting location to members at least one month prior to the meeting. At least one week prior to the book discussion, the hostess supplies discussion questions to each of the members. U.S. G.I.R.L.S. 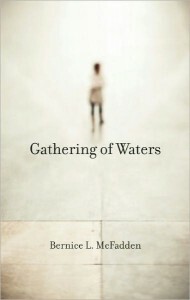 recently met to discuss Bernice L. McFadden’s Gathering Of The Waters. This book is only 200 pages, however it is a literary work that generated discussions on many subjects ranging from young love lost and the supernatural, to Racism and the Civil Rights Movement. U.S. G.I.R.L.S. was intrigued by the scope of information and characters within these 200 pages, and it took us two (2) hours to dissect and discuss Ms. McFadden’s work. Although Gathering Of The Waters is a work of fiction, the “twist” is the interjection of some factual historical data. Thank you so much for choosing Gathering of Waters!! This book club’s reading list is impressive. I would love to know more about them. I have been a member of this book club for several months, and I must say we have very thought provoking discussions. These discussions have encouraged us to face and discuss real situations or circumstances similar to those in the book, and provides an opportunity to offer opinions and possibly change perspectives. It’s very energetic and I look forward to the meetings. I am a member of an all female book club in Denver. We recently formed and have been looking for ideas. I like all the ideas of the book clubs on this blog – but what intrigued me about this group was the phone chats with the authors. I had no idea that authors were “willing” to participate in book club discussions. We will be reading The Loom in July. Thank you for the great idea. Great article. I’m reading The Girl Who Fell From The Sky! You ladies are wonderful. Sounds like you have a great time together. Keep doing what you are doing….. I enjoyed attending the event that was presented by U.S.G.I.R.L.S when we read Cornelia Walker Bailey book God, Dr. Buzzard and the Bolito Man. It was a nice luncheon held at Ritz Carlton for all the ladies to chat about the book. The best surprise was when Jennie Blue presented the author for a book sign at the luncheon. 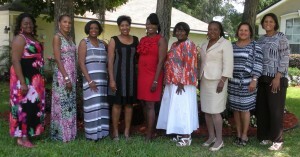 I’ve enjoyed attending the U.S.G.I.R.L.S Book Club as one of the elite book club. Hats of to USGIRLS book club seems to provide a positive atmosphere for women to share and grow together. Keep up the good work. These ladies seem to be very organized; and they look very confident. The books recommended are very diverse and seem interesting. I was hesistant to read Gathering of the Waters, but I think I will submit to my book club here in RI as our next read. I really like the name of this book club, very original. I am not familiar with any of these books. I will have to check them out! I cannot believe the author of Gathering of Waters posted a comment on this blog!! I really want to read Bernice McFadden’s work now because she took the time to thank this book club for selecting her book. I have suggested this book to my book club for our October selection. Simply Fabulous!! The Book Club Show is coming to public television. It's all about you and your club. 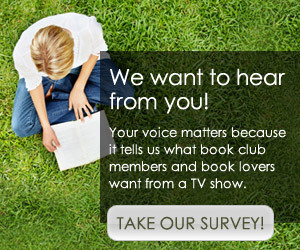 Fill out our Survey, enter our Casting Call, send us your Trending Books and let us know what you're reading. Pass it on!